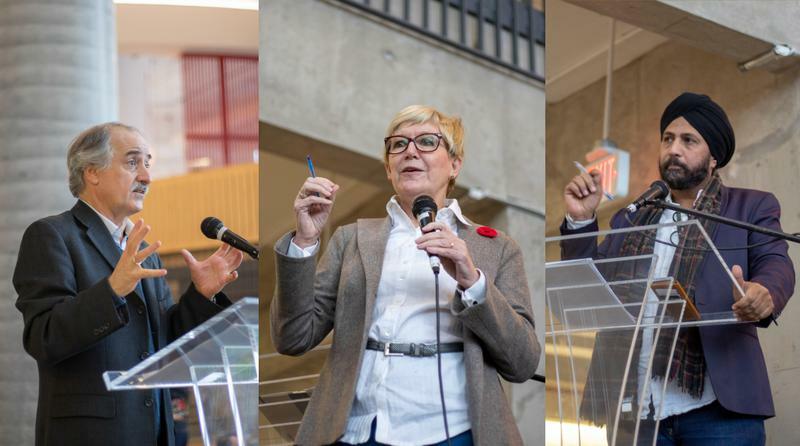 As part of its #YourVoteYourVoice campaign, the AMS hosted a panel discussion yesterday to inform students about the upcoming BC electoral referendum. The panel began with a presentation by political science professor Max Cameron on the ballot’s layout and the proposed proportional representation (PR) systems. It also featured representatives from both Vote PR BC and Vote No to Pro Rep BC campaigns who explained and advocated for the two sides of the debate. “What we’re really excited to do with this specific #YourVoteYourVoice campaign … is to be able to provide information that makes the politics of this issue … something that’s really easy to understand,” Ilnitchi said. Amandeep Singh, a lawyer and Vote PR BC executive, stressed that PR would provide a more accurate representation of the votes cast. Singh then argued that the majority of OECD countries, such as the Netherlands and Sweden, use some form of PR. He also acknowledged that PR is not easy to understand, but said this does not necessarily make it a bad system. “Dictatorships are easy to understand, but we don’t want a dictatorship,” Singh said. Suzanne Anton, a former Liberal MLA who also served as BC minister of justice and attorney general, advocated for keeping first-past-the-post. Anton argued that PR would bring more division and affect government’s ability to implement policies, providing examples of PR systems in Sweden and Italy that delayed the formation of government. She added that PR could allow extremist parties to gain representation in government, citing neo-nazi parties gaining seats in parliaments in Europe. “Countries with a neo-nazi problem have a neo-nazi problem, not an electoral system problem,” Singh responded in the subsequent Q&A period. The AMS itself won’t endorse a side in this referendum. Instead, the society will continue its outreach effort in the days leading up to the referendum. “Voting and youth civic engagement is really important,” Ilnitchi said. In particular, both campaigns will be allowed to booth in the Nest. The AMS will also provide faculty members with information to pass on to their students and collaborate with AMS clubs to spread information to their members. “Our students can make informed decisions and we want to provide them with the most easy to understand information for them to make that informed decision,” said Ilnitchi.